Fashion Herald: Hang Out at Desigual for New York Fashion Week! 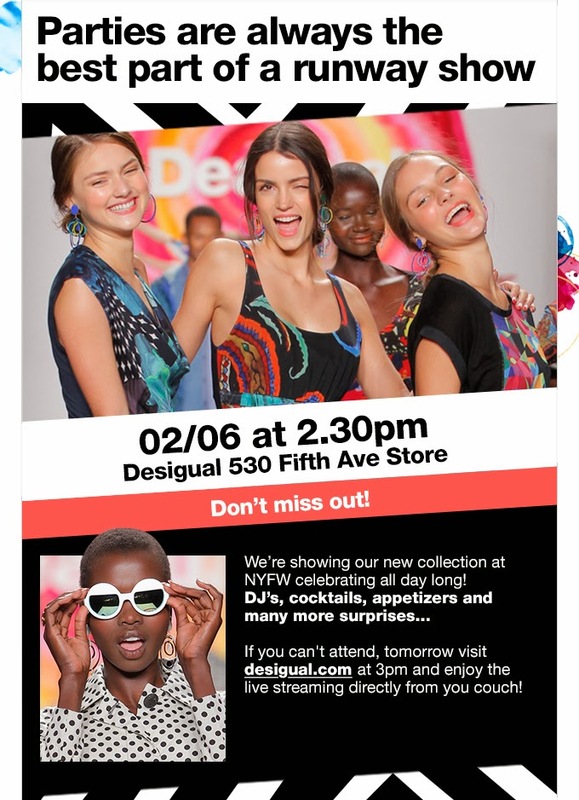 One of 34th Street's most fun, stylish, and colorful stores, Desigual, is showing at New York Fashion Week again this season, and you're invited to the party! Let the fashion week fun begin! Check back here for our fashion week coverage, and follow our Twitter, Facebook, and Instagram for daily updates.